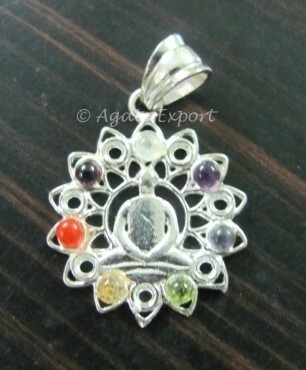 A figure of Buddha, surrounded by seven chakra stones makes this pendant a beautiful piece. Buddha chakra pendant is full of positive energy and it brings you closer to the creator. Contact Agate Export for this pendant.